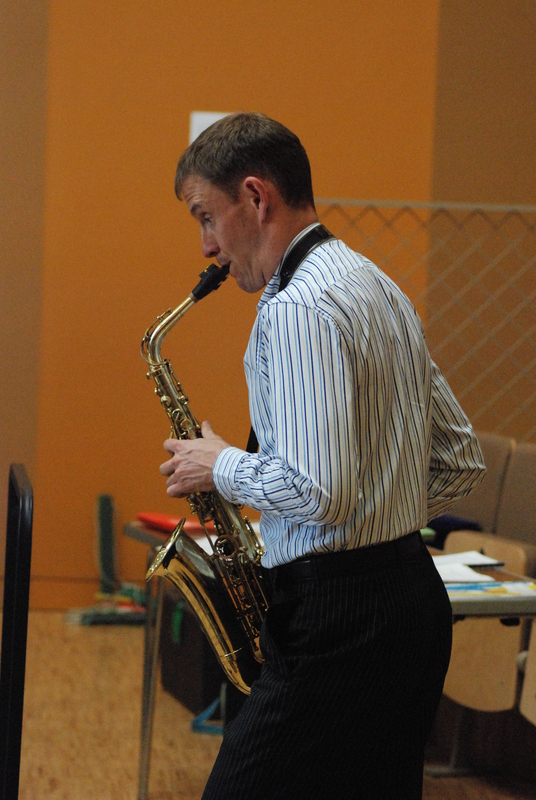 Tim has performed at many of the world’s most prestigious musical venues. As a soloist his performances have been heard by Royalty at The Royal Albert Hall, London, at a private wedding reception at Windsor Castle for His Royal Highness The Prince Edward to Miss Sophie Rhys-Jones (June 1999) and whilst serving on board Her Majesy’s Royal Yacht Britannia. One of his most enjoyable times performing was on a ten-day cruise in the Adriatic aboard the yacht ‘Seabourn Spirit’ as part of Sir Donald Gosling’s Millennium Cruise! (guests included Sir Robert Powell, Terry Wogan, Dickie Davies) and then further afield, at the military tattoo in Brisbane, Australia where he was joined by the principal of The Queensland Symphony Orchestra , playing one of John Barrys pieces. More recently Tim has embarked on unique solo projects, researching, commissioning and collaborating with leading composers to write large scale works for him to solo. 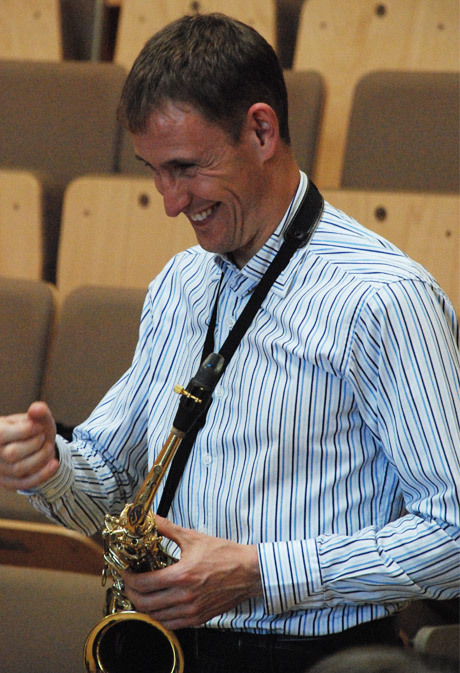 Works by Peter Graham, Adam Gorb and Pete Meechan, amongst others, are now available for solo saxophone and symphonic wind ensemble. 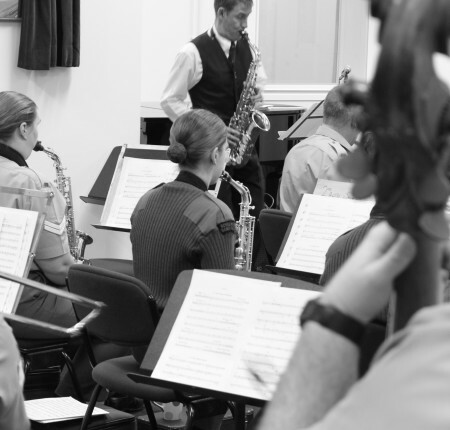 At present, Tim is focusing on the performance of these new works, whilst also talking with more UK composers about the development of new repertoire, to be premiered in the near future. 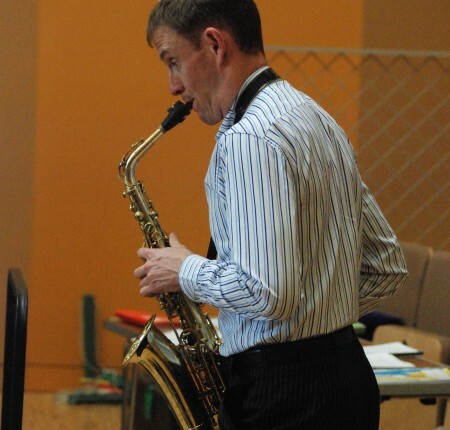 Equally at home with classical or jazz genres Tim’s versatility as a soloist allows him to perform diverse repertoire ranging from full evening recitals to solo concertos with wind ensemble and symphony orchestra. 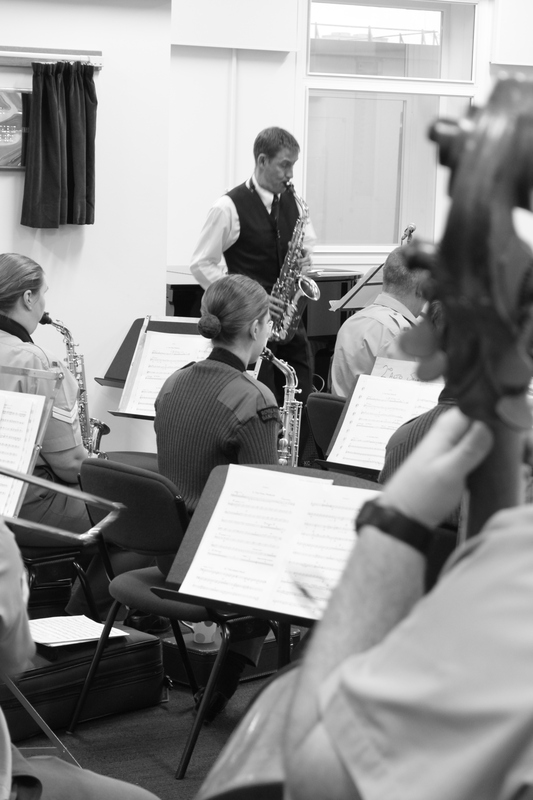 Since joining The Royal Marines Band Service Tim has played or been featured on the recording of eighteen CDs including solos, duets and small solo ensemble groups recorded at the Mountbatten Festival of Music at The Royal Albert Hall, London. 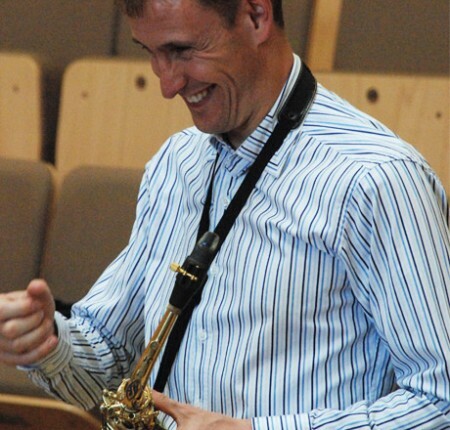 He has been reviewed in many magazines including ‘Winds,’ ‘Clarinet and Saxophone Society of Great Britain’ and ‘British Bandsman’ and is highly regarded by his peers both inside and outside the Band Service. Tim has recorded all of his commissioned works, whether live or in the studio, however, he only recording his first solo CD with pianist John Wilson in July 2010. Always trying to push the boundaries of performance Tim has plans for future recordings.